News | H.Y. Engineering Ltd. | H.Y. and Associates Land Surveying Ltd.
H.Y. Engineering Ltd. is pleased to welcome the addition of Jay Lim (VP Finance) and Derek Rempel, P.Eng., into the Partnership group of the Firm. This growth step strengthens our role as a leading civil engineering consulting firm within the civil land development and municipal sectors. Jay Lim brings more than 10 years of experience in financial and executive leadership through business transformations, cost reduction initiatives and systems implementations and upgrades. Jay has also been involved in tax planning, the execution of strategic mergers and acquisitions and is specialized in providing accounting, assurance, tax and business advisory services to privately-held corporations and not-for-profit organizations. 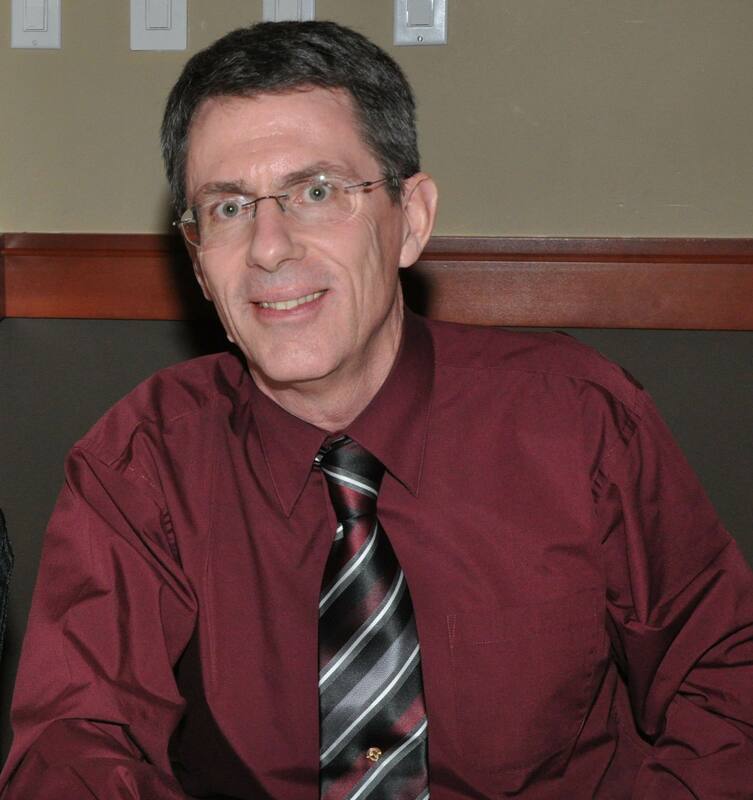 Jay holds a Bachelor of Commerce degree from University of Victoria and he is a member of the Chartered Professional Accountants of British Columbia. Derek Rempel has extensive experience in design and client liaison with both private and public sector clients. His 11 years of accumulated knowledge of local land development approval processes, layout and servicing designs and construction processes will help lead our civil design team to the future with new and creative design solutions. Derek holds a degree in Civil Engineering from the University of British Columbia and is registered as a Professional Engineer with Engineers and Geoscientists British Columbia. Established in 1981, H.Y. Engineering has grown steadily to meet the demands of the industry and our increasing client base, in the public and private sectors, providing urban planning, engineering and surveying services for land development and civil engineering projects. Our company objective is to provide solid planning, engineering and land surveying solutions in a timely and cost-effective manner. Our experience in the design and construction industry includes a range of projects from 2-lot subdivisions to large scale urban developments. We have earned the position as a leading civil design consultant in the Lower Mainland area, and look forward to having Jay and Derek on our leadership team to support our continued growth. H.Y. 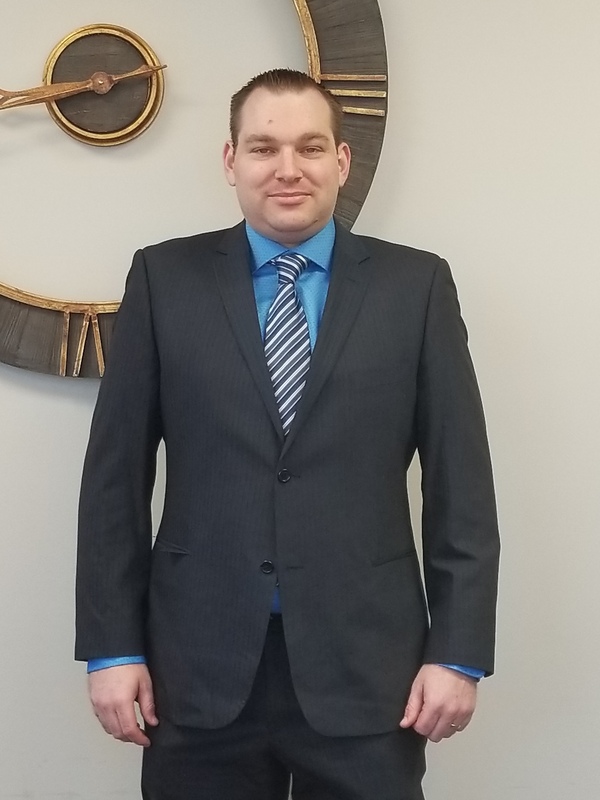 Engineering Ltd. is pleased to announce the addition of Will Bodnar, P. Eng., to the partnership group of the firm. This growth step strengthens our role as a leading civil engineering consulting firm within the civil land development and municipal sectors. Will has extensive experience in design and client liaison with both private and public sector clients. His 14 years of accumulated knowledge of local land development regulations, development approval process, layout and servicing designs and construction process will help lead our civil design team into the future with new and creative design solutions. Will holds a degree in Engineering from the British Columbia Institute of Technology and is a member of the Engineers and Geoscientists British Columbia. Established in 1981, H.Y. Engineering Ltd. has grown steadily to meet the demands of the industry and our increasing client base, in both the public and private sectors, providing urban planning, engineering and surveying services for land development and civil engineering projects. Our company objective is to provide solid planning, engineering and land surveying solutions in a timely and cost-effective manner. Our experience in the design and construction industry includes a range of projects from basic two lot subdivisions to large scale urban developments. We have earned the position as a leading civil design consultant in the Lower Mainland area, and look forward to having Will on our leadership team to support our continued growth. It is with warm wishes that H.Y. Engineering Ltd. announces the retirement of Phil Hartley. In his 25 year tenure, Phil has been instrumental to the company’s success, playing a critical role in overseeing all aspects of its day to day operation as well as providing valuable business insight to support the steady growth of the company over the past 20 years. Phil consistently demonstrated a high degree of professionalism, trustworthiness, reliability, methodical decision making and infallible work ethics fostering strong relationships with both staff and clientele. He will be truly missed, and H.Y. Engineering Ltd. would like to express our tremendous gratitude and appreciation for all his contributions. We wish him a restful and much deserved retirement. On Phil’s retirement, we are also welcoming three new Partners to H.Y. Engineering Ltd.: John Vairo (CTech) Engineering, Lori Joyce (CPT) Planning, and Gordon Yu (BCLS) Surveying. They join our existing partners, Richard Brooks, Eugene Wong and Roman Dypchey. All three new partners have been valued employees of H.Y. Engineering Ltd. for the past 10 years. 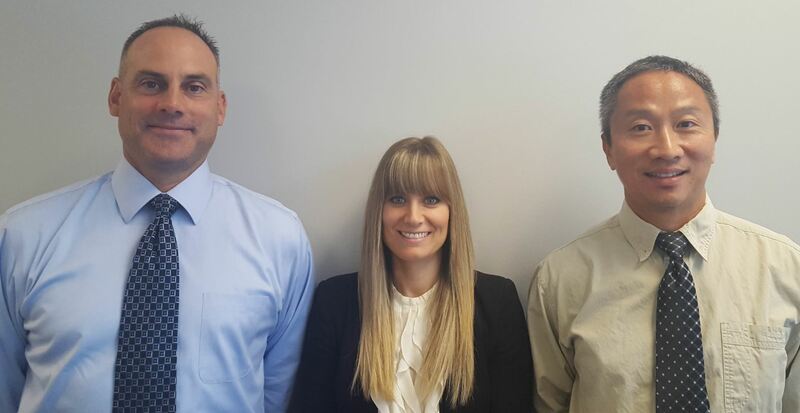 We look forward to this new chapter of growth and change and we are confident John, Lori, and Gordon will prove to be great assets to the leadership team at H.Y. Engineering Ltd.
Southpointe 99 Achieves LEED Gold Certification! We are happy to announce that Southpointe 99 has achieved LEED Gold certification from the CaGBC. H.Y. Engineering Ltd. is proud to have been part of the project team as the civil engineer for the 4 storey office building located at 15303 – 31st Avenue. By achieving LEED Gold certification, Southpointe 99 is one of the greenest buildings in the City of Surrey. Congratulations to the project team and everyone else that helped accomplish the LEED Gold certification! H.Y. 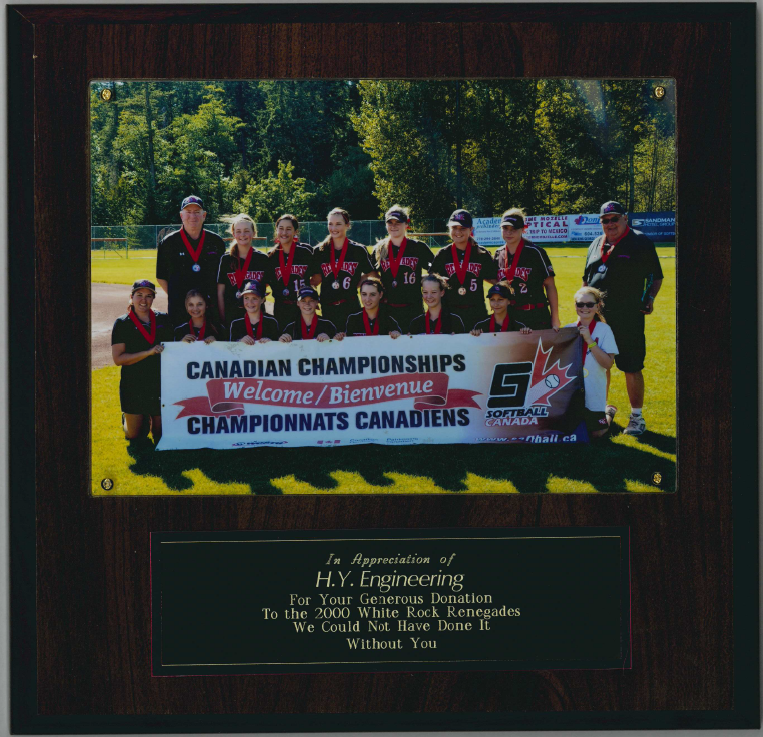 Engineering Ltd. is a proud sponsor of White Rock Renegades Girl’s Fast Pitch Club. We would like to extend our congratulations to White Rock Renegades 2000 on winning Silver at the 2014 U14 Girl’s Canadian Fast Pitch Jamboree.